Of Rabbi Avi Wiseguy: Every year since time immemorial, The Jewish Week [of New York] has published a Purim Spoof. And why should this year (2014) be an exception? 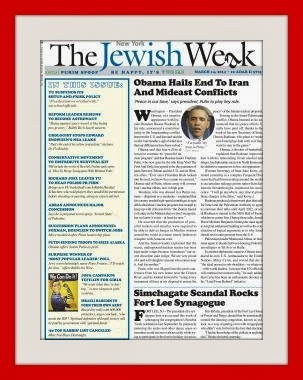 This year, Abq Jew remembered to visit TheJewishWeek.com before Purim, and did not wait to receive the Purim issue in the mail. Jerusalem — The Chief Rabbinate of Israel, the supreme religious authority for Jews in Israel, announced this week that it would take disciplinary action against Rabbi Avi Wiseguy, due to certain “un-Orthodox” views that the Modern Orthodox rabbi holds. Rabbi Wiseguy’s most recent controversial ruling came in February 2014, when he was asked what a mourner should do if he cannot not find ten men for a minyan, the required quorum to say kaddish. Rabbi Wiseguy replied that the mourner may pray with five people and say chatzi kaddish (half kaddish).